I enjoyed Laura Sassi's "Goodnight Ark" about Noah's Ark and this was is also adorable. I love the simple way Laura explains the story but yet keeps it fun with the rhyming. 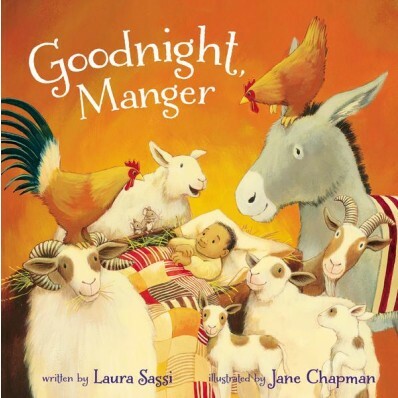 This story is a great addition to share at Christmas time and is perfect for the younger aged kiddos. This book has humor and left me questioning what it really would have been like in the stable when Jesus was born. Laura add's a lot of humor with how she envisions living in a stable from animal noises to itchy straw for Jesus's bed.